An exquisite design that allows your cigar to be perfectly cut. Pick one up and feel the difference. You'll look forward to cutting your next cigar! 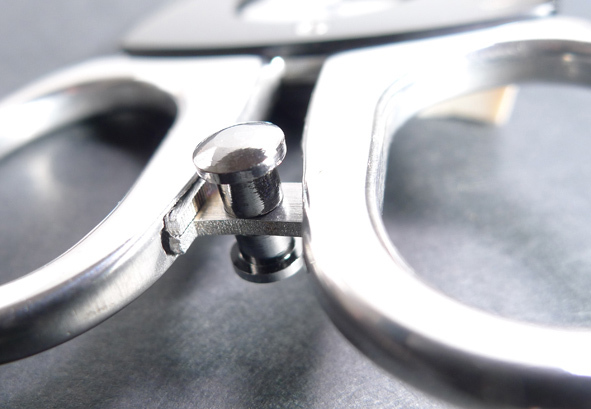 The Synchro cutter is an ingenious new design that ensures a perfectly cut cigar every time - elegant yet simple to use! Thanks to it's principle of assembled blades on 2 distinct axis (Fig.1). 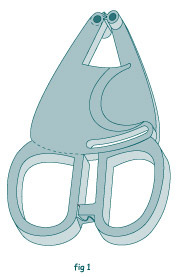 The scissored self sharpening stainless steel blades have a gear that sychronizes their cut (Fig.2). 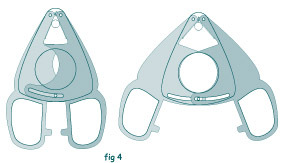 When the cut is complete, the blades are safely locked closed with a button closure easy to open (fig 3).